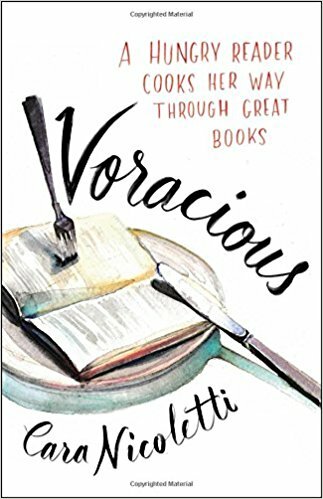 As a young bookworm reading in her grandfather's butcher shop, Cara Nicoletti saw how books and food bring people to life. Now a butcher, cook, and talented writer, she serves up stories and recipes inspired by beloved books and the food that gives their characters depth and personality. I was listening to What Should I Read Next the other week, and this book came up. The guests, Rikki and Michaela, are the amazing creators of The Ardent Biblio and mentioned this great volume as a marriage between two of their favorite things, books and food. Imagine my delight when I randomly saw it on the shelf at the library. I had to check it out! I loved reading about how various books have affected Nicoletti throughout her life. I think every reader has their own life of impactful books. Nicoletti makes a coneection between all those great books and some amazing food. I loved reading the essays and perusing the recipes. I'm not really big into cooking, but I do love good food. I may jsut have to notate a few of these recipes before I return the book to the lubrary.